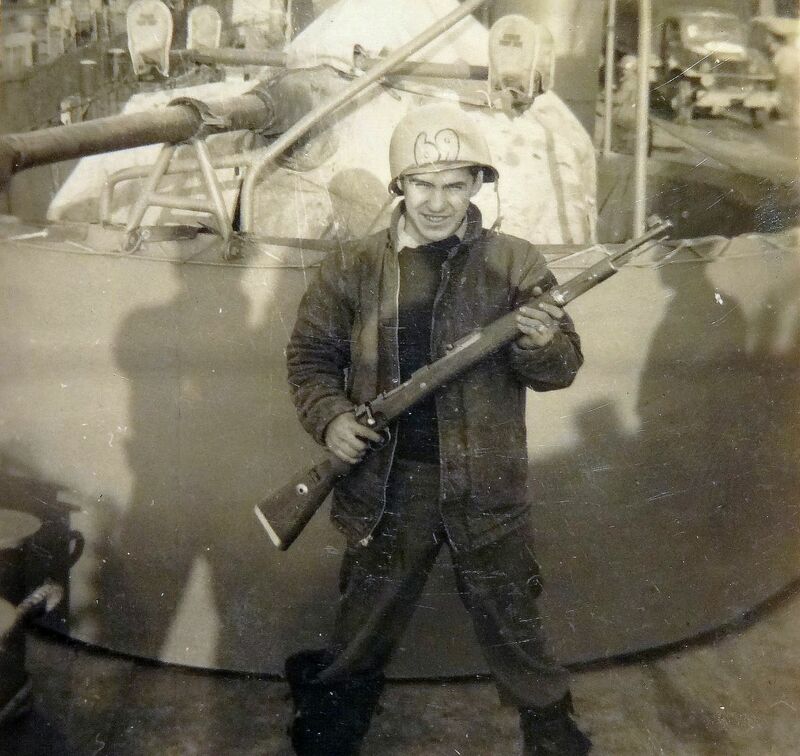 LCT-535 crew member with K98. Note the absence of a cleaning rod. 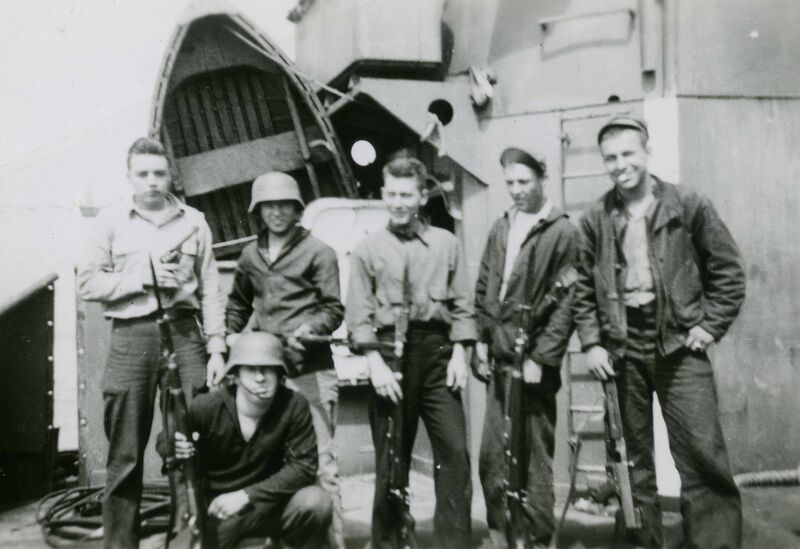 LCT-535 crew members with German souvenirs. 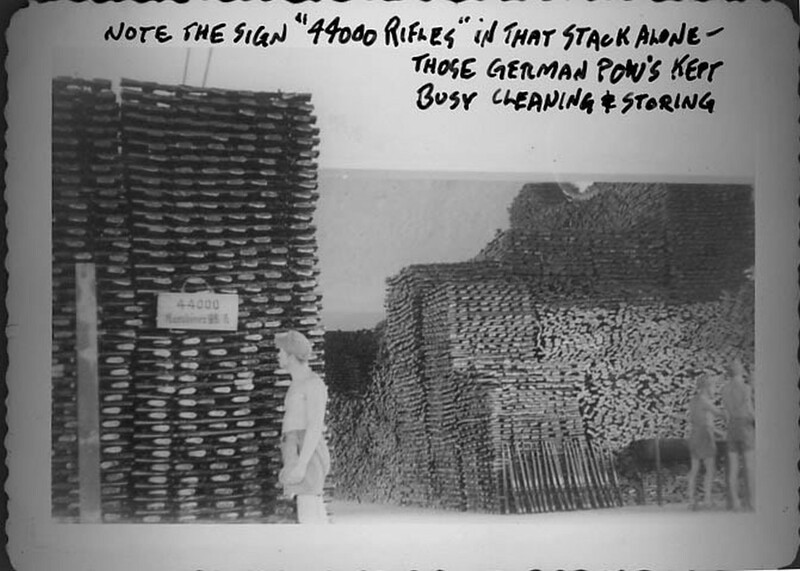 A little blurry, but I believe the rifles are K98s. Sailor by the name of Hy on the U.S.S. 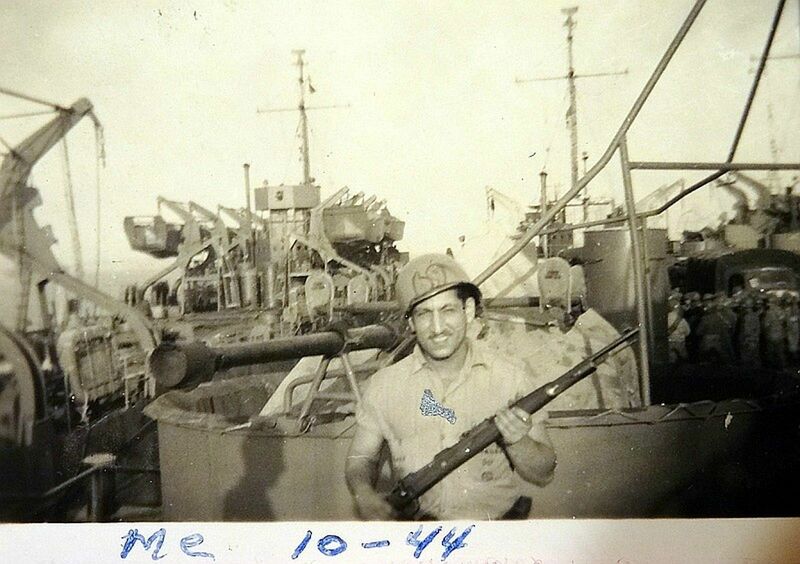 LST-279 with his bring back K98. One of Hy’s friends on the U.S.S. LST-279 posing with the same K98 from the previous photo. 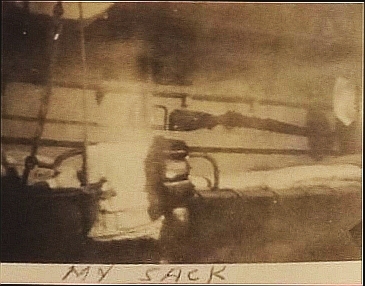 Hy’s “sack” (sleeping quarters) on board the U.S.S. LST-279. Note the K98 hanging on the wall in the background. 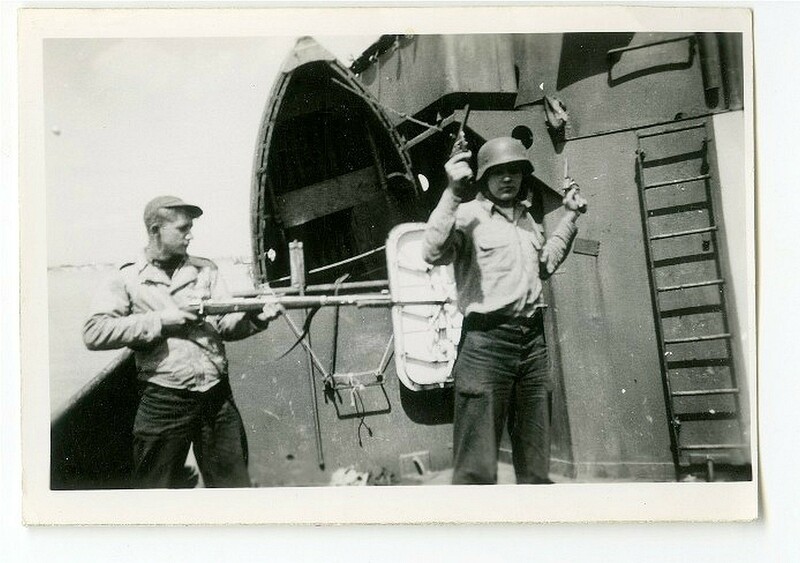 Two soldiers playing around on what seems to be the deck of a ship with a captured German rifle (K98? ), helmet and two pistol. 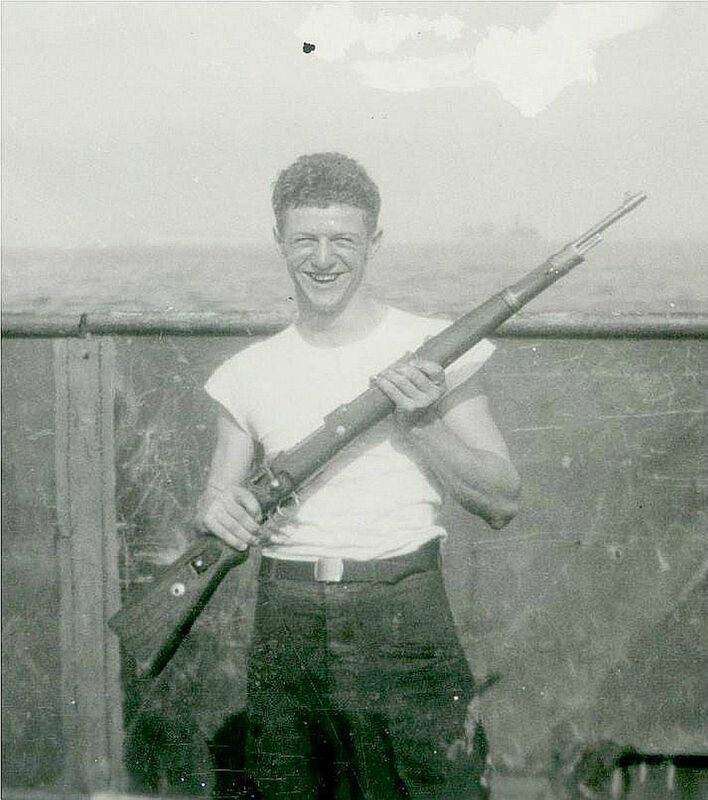 Ted Doyle, a Royal Canadian Navy Volunteer Reserve (RCNVR) Radar Operator on the HMCS Iroquois G89, wearing a souvenir German uniform and carrying a German rifle. 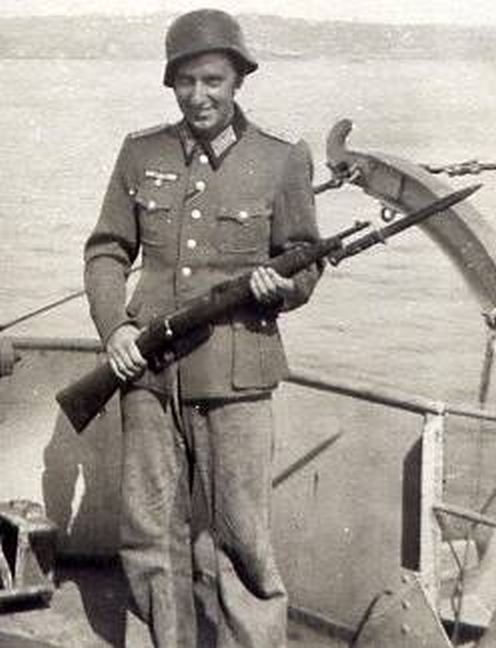 Note: Not sure of the exact type of German rifle (Mannlicher-Carcano?) but a good example of a “bring back”. 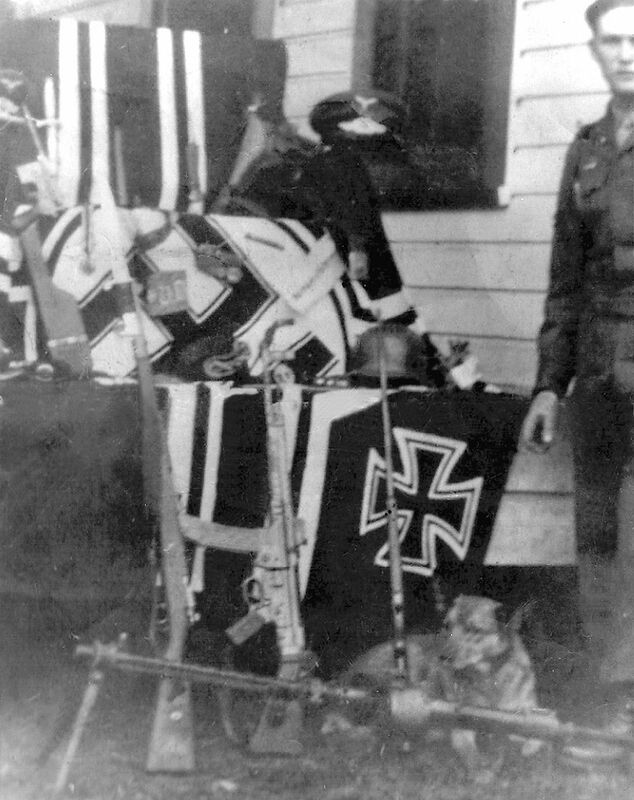 My dad [see source below] served with the 82nd Airborne in WWII, and sent home an enormous batch of trophies, as seen in this photo taken on the front porch of our family farm after the war. Many of these guns, flags and uniforms were loaned to a museum in Fernandina Beach, Florida, and went astray. We were able to recover a few of them in the early 1970s and the automatic-weapon stamps from the ATF cost us a fortune; I believe it was $500 per gun. You should have seen it when the Naples police chief, my mom, two of my friends and I carried this stash of weapons into the Bank of Naples to store in their safety deposit vault! They were all sold long ago, except for a Walther PPK I kept. My dad even brought back that dog in the photo; her name was Beulah. The one time my dad mentioned these souvenirs, he said that he was assigned, in Berlin, to check packages going home to make certain they only had one firearm or weapon per package in them. 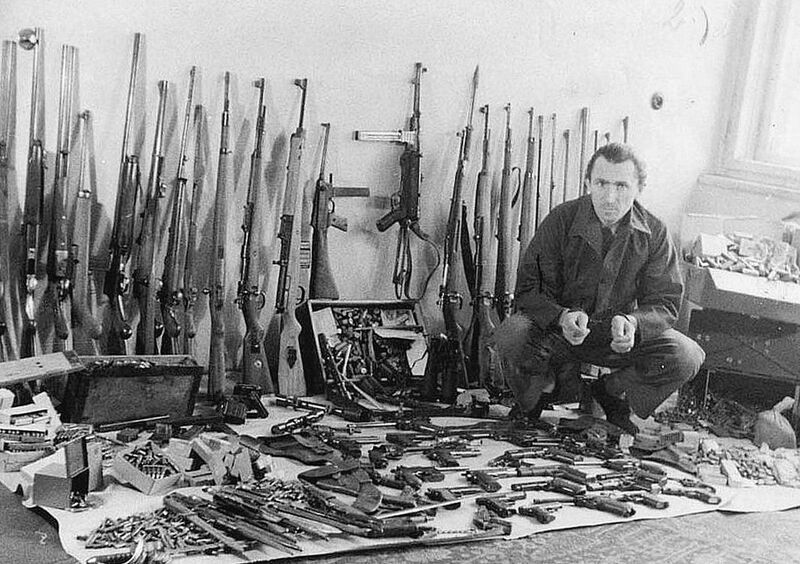 He didn’t have orders as to what to do with the extra firearms he’d find, so he kept them and would disassemble them. Then he’d send a stash of gun parts in each box home; there evidently wasn’t a restriction on sending parts of a weapon. Of course, how he got the dog back is another story; never heard that one!!! 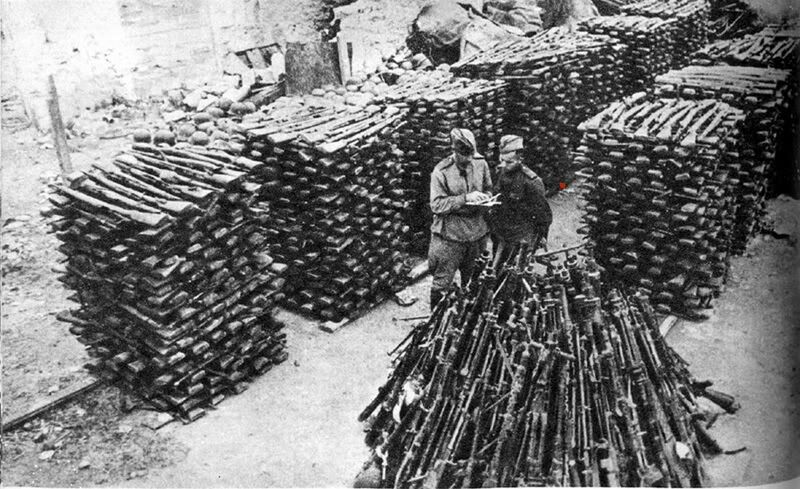 MG-42 and/or MG-43 in foreground and K98s/VZ-24s in background?